What does the Review Team do? 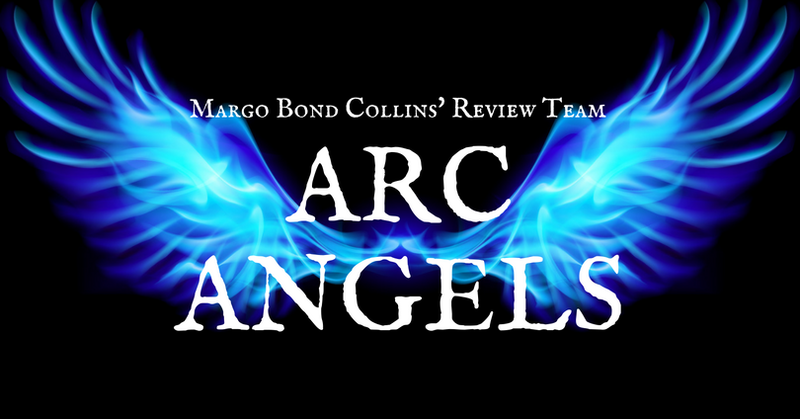 Members of the team review titles by Margo Bond Collins in exchange for free review copies. These could be backlist titles, new releases, or “coming soon!” titles, though most are Advance Reader Copies (as the group title suggests). What are you agreeing to by joining? NOTE: I can’t guarantee a spot for everyone. I keep my ARC Angels list limited. For now, I will be running the group, but eventually, I’ll arrange for an admin. 1. Guidelines for being a reviewer will be enforced. The admin of the group has final say on who does and does not remain a member of the group. 2. Please only sign up if you’re a fan of the genre(s) being offered. If you do not like paranormal books, books about shapeshifters, vampires, sci-fi, urban fantasy, and/or contemporary romance, then please don’t sign up to be a reviewer. Spots are limited, and life is too short to read books you hate. Find books you want to read! 3. As always, honest reviews ONLY. 4. Members are not required (or expected) to review every book offered for review, but may lose their spot on the review team if they do not review at all over a certain period of time (time period will vary depending on how many books are offered). That said, I know life happens, so if you need to suspend your spot for a while, just let me (or the admin) know. 5. Once an ebook is requested and sent to a review team member, the member has up to 3 weeks to read, review and post the review to either/and/or Amazon, Goodreads, Apple/iBooks, Kobo or Barnes & Noble. If you download a book and discover you won’t be able to review it for some reason, please let me know (so as to avoid getting dropped from the team!). 6. Members are required to submit the link(s) to their posted review for every book they request to review. 7. Ebooks are available via Instafreebie or Bookfunnel, which makes it easy to download books, no matter what device you use. Members are responsible for loading files onto their reading device. Ebooks are sent with embedded information to prevent copyright infringement and piracy. 8. You must be 18 years or older to join. 9. No regional restrictions apply. The group is open to readers from any part of the world. Readers from outside the US are encouraged to join! Apply to Become An ARC Angel!